When it’s snowing outside and you’ve had a long day, you want dinner to be more than just a hot meal. Sadly, one of the misnomers of vegetarian cooking is that it’s hard to do comfort food. For example, critics claim vegetarian cooking lacks some oomph. But I disagree. The truth is, in fact, there are plenty of great ways to make a big pot of vegetarian comfort. For one thing, this spicy tomato sauce at the top of my list. That’s because it’s perfect to smother potatoes and protein-rich navy beans. Because of meals like this, I keep a can of Muir Glen organic crushed tomatoes on hand at all times. Best of all? It’s great with any leftover grains you might have. Read more and see the recipe. 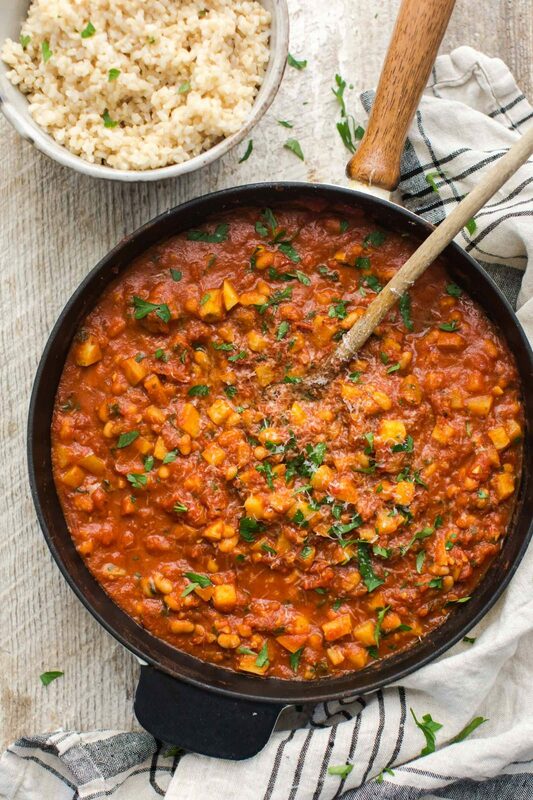 The post White Beans in Spicy Tomato Sauce appeared first on Naturally Ella.